iPhone 6 and 6 Plus not as bendy as believed? 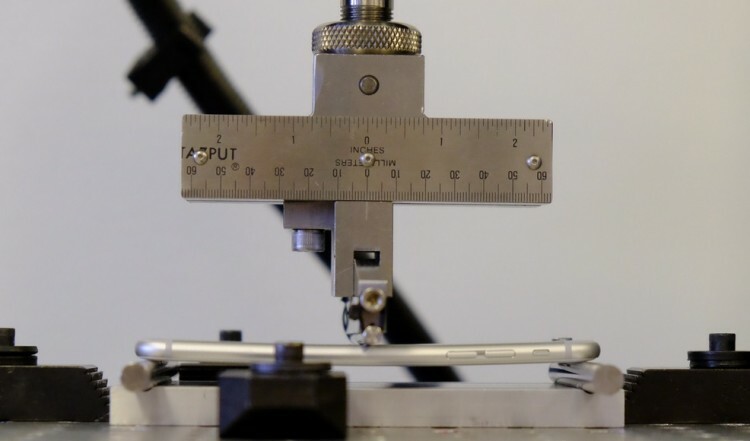 The pictures of the bent iPhone 6 attracted much attention during the last week. New tests show resistance on par with competitors. Read more after the break. Early reports claimed that the iPhone 6 could become deformed – just by carrying it in your pocket. The images were widely spread, and people were talking about “bendgate”. To get the rumors under control Apple revealed how they tested a total of 30,000 copies of the iPhone 6 and iPhone 6 Plus. They said that the phones are designed to withstand at least 25 kilograms of pressure. An independent test of the iPhone 6, iPhone 6 Plus, iPhone 5 and phones from other manufacturers shows that Apple’s latest generation performs slightly better than the HTC One M8, but the iPhone 5, LG G3 and Samsung Galaxy Note 3 is stronger. An unexpected finding of the test is that the larger version – iPhone 6 Plus – can withstand more punishment. According to the measurements it becomes deformed at 40.8 kilograms of pressure compared to 31.7 kg for the iPhone 6. The Samsung Galaxy Note 3was the strongest device which was deformed first at 68 kg of pressure.